Right-click on your account's message store and choose Open Store or Double-click on the account's message store to open it. 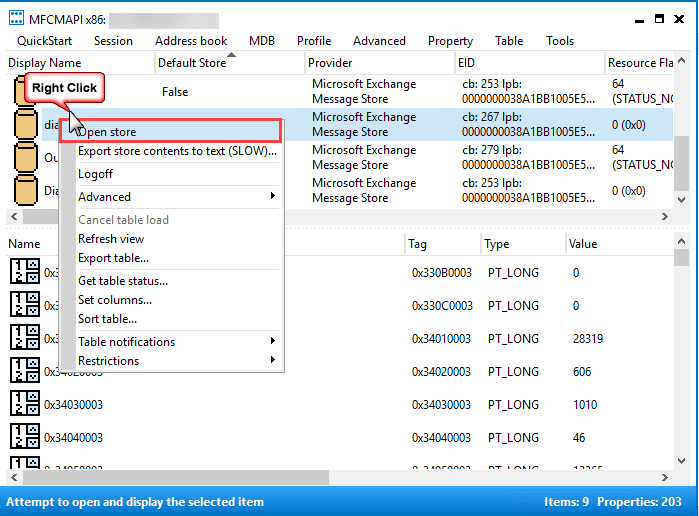 Right-click on the Inbox folder and click Display Rules Table to see all the rules configured in the mailbox. 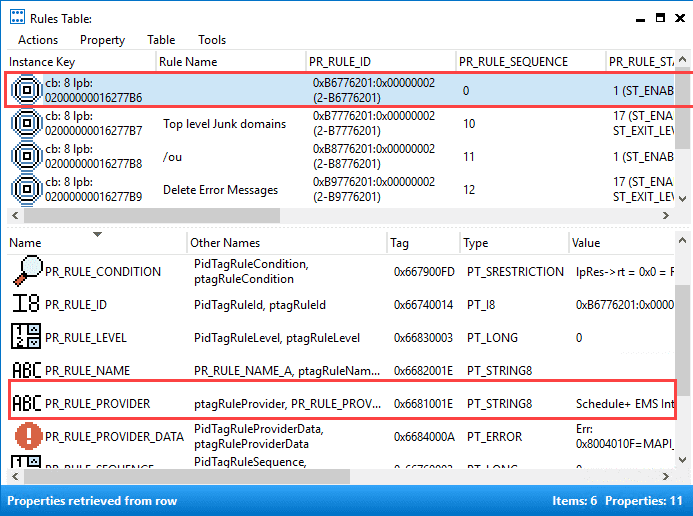 Scroll right to see the PR_RULE_PROVIDER column or scroll down in the lower section. This removes all delegates and the user will need to re-add delegates. This method can also be used to delete orphaned delegates from a mailbox. Another sharing error is detailed at ""Folder sharing is not available…" error"